Bray Leino Events landed an "enormous" win as they secured a three-year contract to be the official events agency to the Department for International Trade (DIT). The exhibitions specialists won six sector lots to become the key supplier on the DIT events roster. It means that the firm, which is based in south west England, will deliver around 1,200 high-profile events. The contract is one of the most significant wins in the 40-year history of Bray Leino Group, and reflects recent investment in its events division. Giles Lee, BLG executive chairman, said: "We have built a world-class events team with the capabilities to deliver precisely this kind of international event programme and this win is recognition of their professionalism and quality. "I am proud of what they have achieved and I know they can’t wait to get started." The events will come across a broad range of sectors, from energy and nuclear, through to arts and culture, helping DIT promote British trade around the world over the next three years. Rob Grahamslaw, CEO, Bray Leino Events, said: "It is a privilege to be able to help DIT promote British business interests around the world as its official event supplier, particularly at such an important time. "I’m delighted for our team, they fully deserve this success." BLG has been an official supplier to the Crown Commercial Services for more than 10 years. It has delivered on a range of work for public sector organisations including the Office for National Statistics (ONS), the Royal Mint, the NHS and Innovate UK. 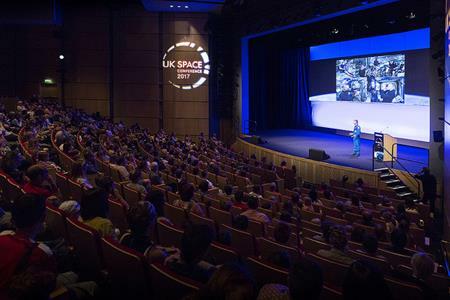 The team has delivered successful projects for UK Space Agency, HS2 and UKTI. BLG has also helped clients grow through a range of specialist communication businesses, including conferencing and events, brand development and advertising. Over its 40 year history, the company has also worked on direct response, digital, activation and media. It has offices in Devon, Bristol, London, Chicago, Singapore and Shanghai. The business employs 400 full time specialists and has a turnover of £54m, and is part of The Mission Marketing Group.